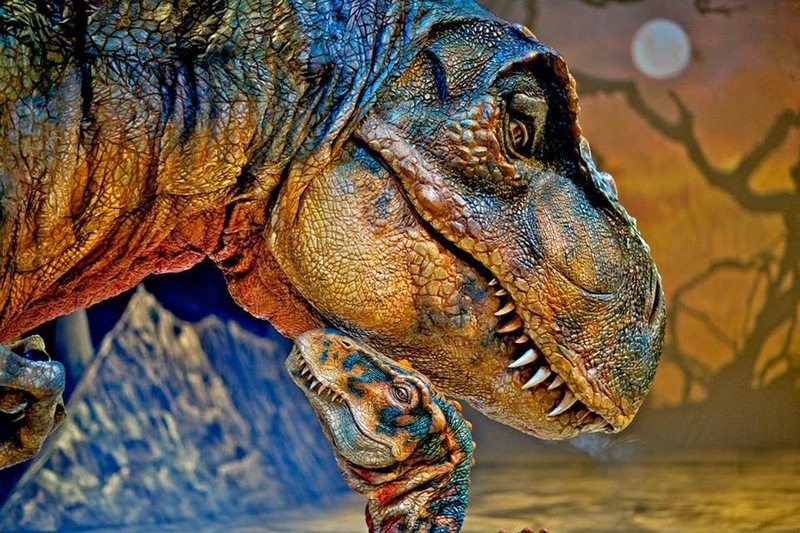 Dinosaurs once again roam the earth when the spectacular production, Walking With Dinosaurs The Arena Spectacular, based on the award-winning BBC Television Series, comes to The Palace of Auburn Hills for an eight-show engagement from August 6-10, 2014. 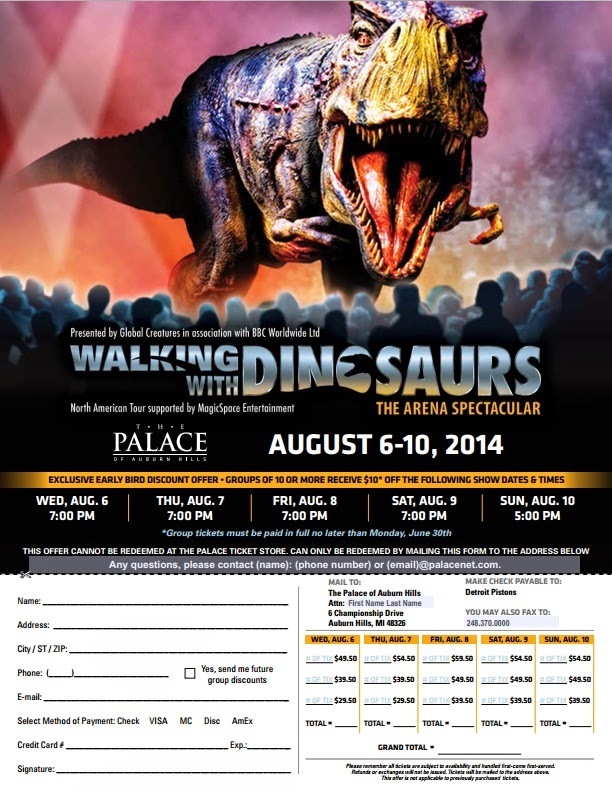 Tickets at $59.50, $49.50, $39.50, $19.50 reserved at Palacenet.com, The Palace Ticket Store and all Ticketmaster locations. Tickets may be also charged by phone to American Express, Discover, Visa and MasterCard by calling 800.745.3000. Please use this form for discount tickets. Would you like the chance to win a family 4 pack of tickets to this spectacular show? Mom Among Chaos is giving away tickets. Enter in the form below. Ends 6/30/14.